The love during the 90s was simpler than it is today. We did not have to worry about the authenticity of the feelings and had our parents by our side to guide. Love of the Millennium has more hassles. People have lust and are avaricious rather than being smitten by the warmth of love. ‘In Search of Love’ speaks about the Millennium love that is unpredictable. It makes life topsy-turvy. 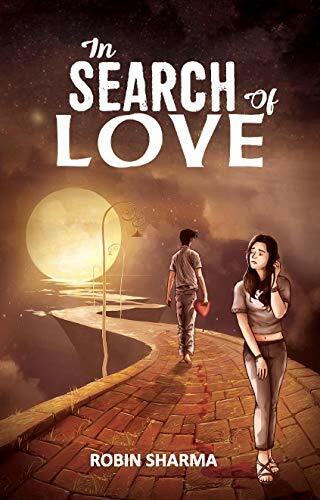 Revolving around the two main characters- Rajesh and Sonam, ‘In Search of Love’ is an emotional tale of love, trust, betrayal, sacrifice and resurrection. The title of the book is fine but the plot is jaded. It is like presenting old wine in a new bottle. Rajesh has been rejected and dejected in love. He is vulnerable. But then he decides to hang on to his life and transform himself. This story is his journey of how once love was the oppressor and then with time, Raj tames this emotion. The cover page is interesting. The initial part of the blurb is apt but the questions posed to ignite the spark of interest in the mind of the reader, are wayward. With improper typesetting and presentation, Leadstart yet again disappoints with the quality of the product. The book comes with several errors, typos and missing punctuation marks. The language, no doubt, is simple and blends with the spoken language of today’s youth who prefer using ‘f’ word like fillers in the conversation. The plot is fine (although it is nothing new but college/ teen romance with some clichéd elements like liquor, girls, coquette friends and regret). The book will be a good treat for the romance lovers as it is a breezy read. The number of dialogues is less. Most of the content appears as soliloquy. Overall, a good effort by the author and the book can definitely be picked for a quick read.